It’s a big week for the club, with a point on Friday night against Dunipace securing the Conference B crown in the East of Scotland League and, if they were to win the play-off rounds that follow, they would then play the South of Scotland winners for a place in the Lowland League next season. 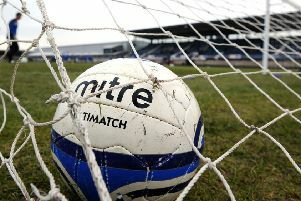 However, the East of Scotland winners would only be promoted if they have a licence, and they must also have floodlights in place by the start of next season under the new criteria – which the club are working on. Horn believes the uncertainty is not a distraction for the players but he concedes it has been on the minds of the management and staff. He told the Advertiser: “I don’t think it affects the players’ focus, they just get on with it on the park but there is obviously a lot of talk between the management and committee. 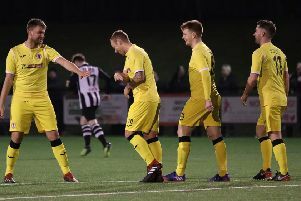 The Rose are coming into their clash with Dunipace in fine form after sealing their place in the Football Nation Qualifying Cup quarter-finals with a 4-2 win over Jeanfield Swifts. Horn’s men raced into a four-goal lead inside the first half an hour and he felt that was as good as they have been since his return to the club. He said: “We just blew them away and we could have been further ahead. We did what we had to do in the second half and thought we managed the game well. “It’s a Friday night which is great but we will treat it like any other game. We just need a point to secure the Conference but we will be going out to win it. We’ve got big games ahead so we will have to think about rotating the squad.